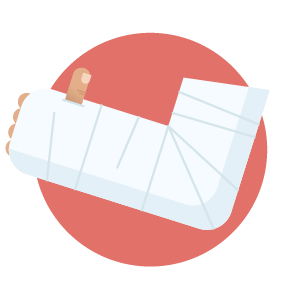 Kareo provides physical therapists with an easy to use platform to manage your clinical, billing and marketing needs. Our goal is to help therapists provide better patient care, efficiently manage billing and grow your therapy practice. 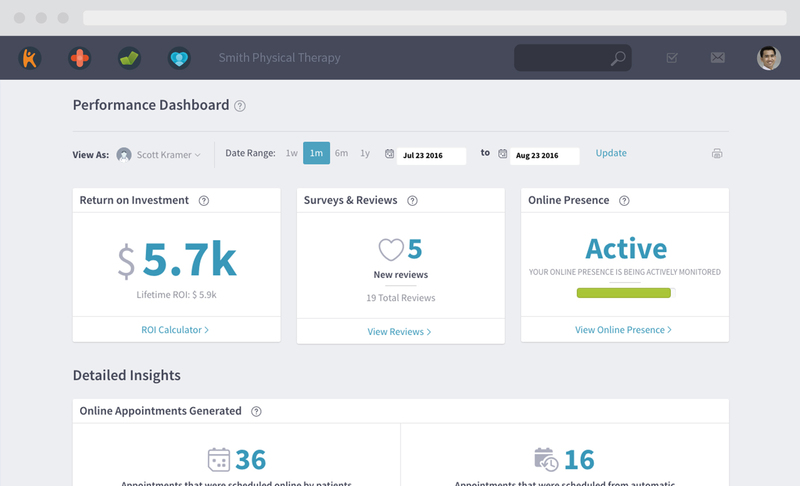 You can choose to use a single Kareo module, or combine Kareo modules and integrated partner offerings to create a customized solution tailored to the needs of your therapy practice. 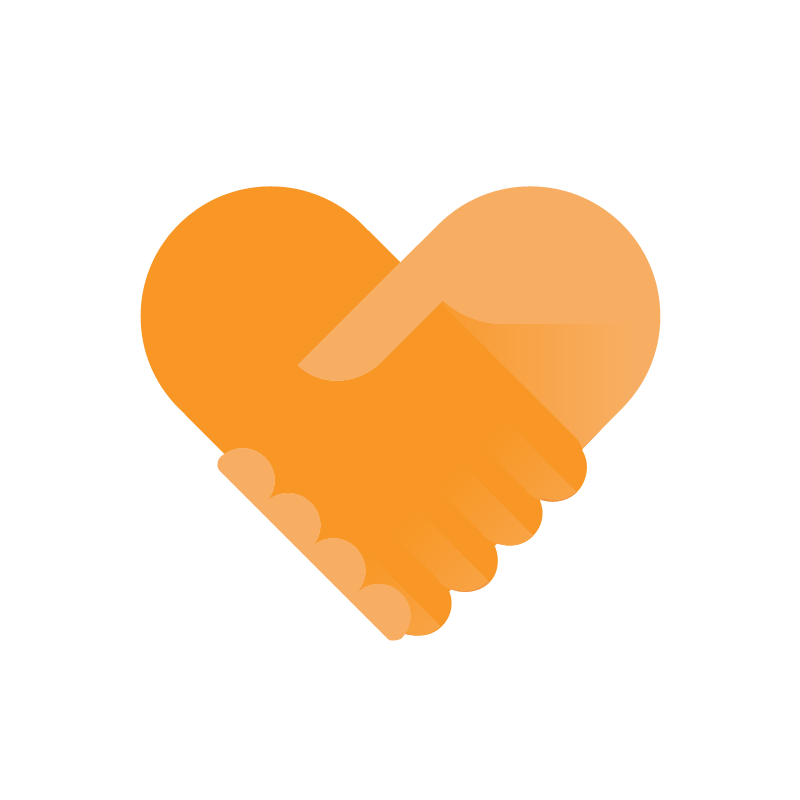 From getting found online to getting paid, Kareo can help your therapy practice succeed. 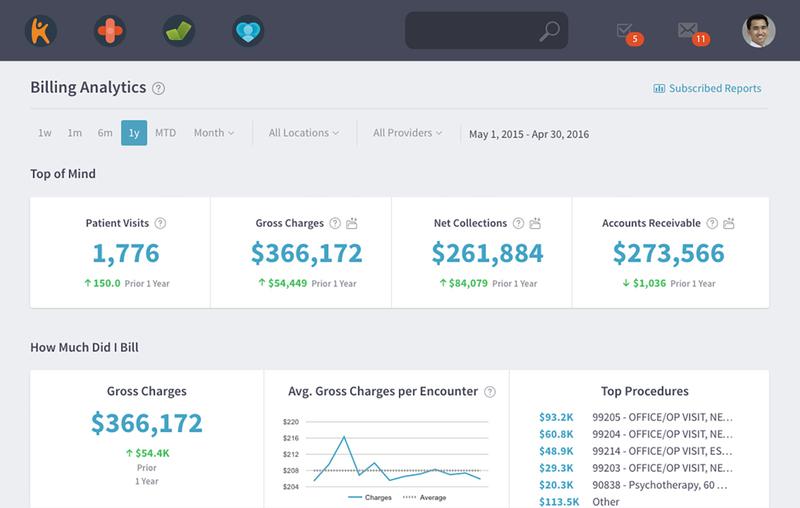 Let Kareo take the complexity from your billing. We have the tools and reports therapists need to get paid faster the first time, with less effort. Kareo Clinical lets you do the work that matters most, helping your patients on their road to recovery. 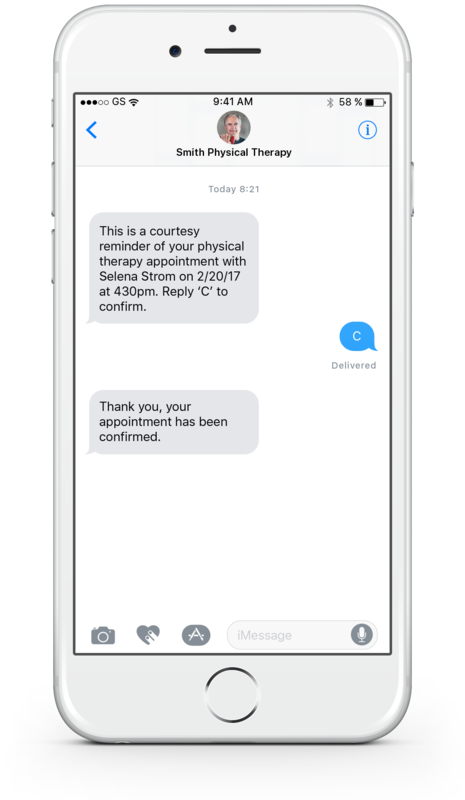 Use our cloud based mobile friendly EHR to manage scheduling, appointment reminders, registration, patient notes, superbills, secure messaging, patient payments, compliance and more. Take advantage of our existing physical therapy, occupational therapy and speech language pathology templates or create custom templates to meet your needs. With one click access to commonly used tests, measures, and treatments, you can spend less time in front of a computer and more time treating your patients. 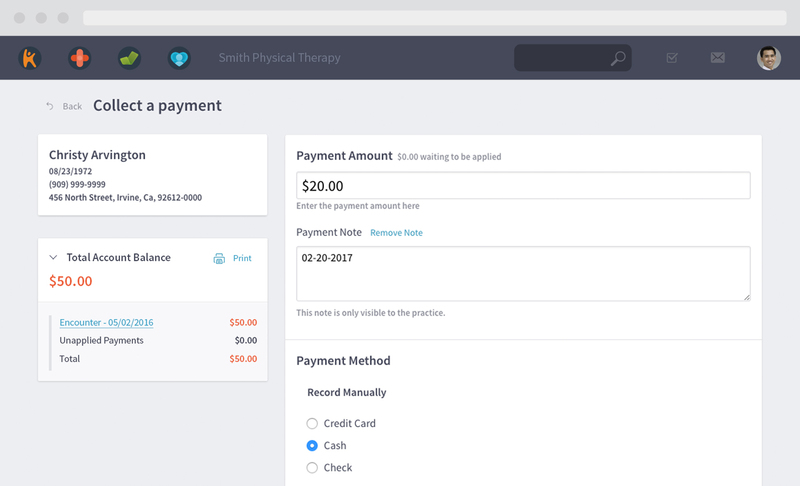 With Kareo Billing, there’s no better software to support the therapy billing process. Our web and mobile applications help you easily manage patient billing, reauthorizations, claims management, patient payments, secure messaging and compliance. 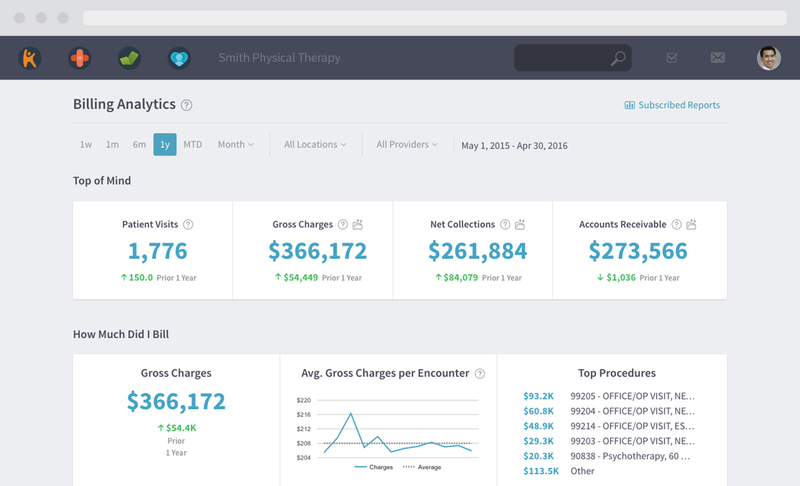 Plus with our billing analytics and reporting tools you have the ability to efficiently monitor your practice performance. At Kareo, we believe that therapists should focus on caring for patients and providing excellent service—not sweating over claims and patient statements. When you sign up for Kareo Managed Billing, you get more than just billing services expertise—you get a team of specialists dedicated to your success. Kareo has budget friendly pricing options for therapists. Your first Kareo module is $110/mo and you can add additional modules for $55. 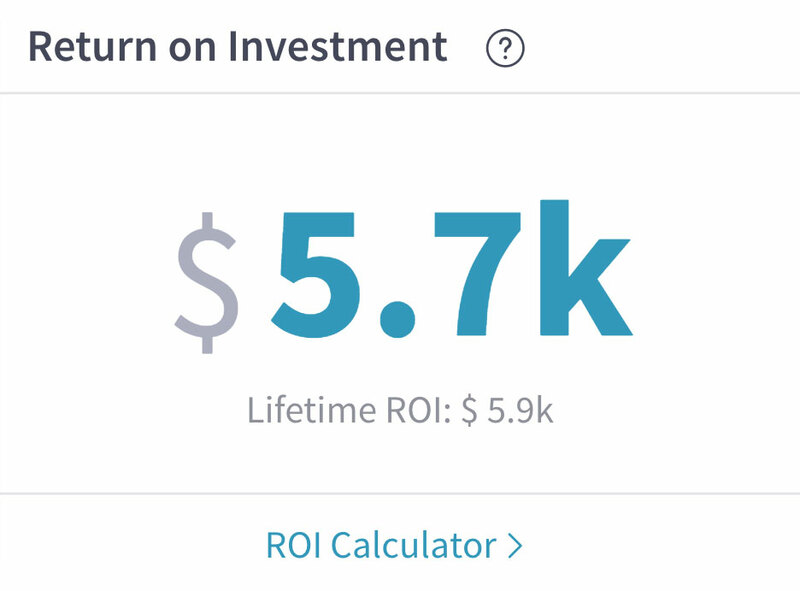 This means you can choose any two Kareo modules: Billing, Clinical, or Engage for only $165/mo. 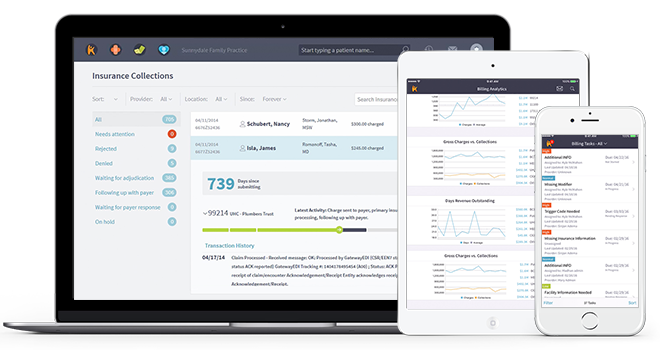 Or, you can purchase the entire Kareo Platform (Clinical, Engage and Billing) for only $175/mo. Low volume options are also available, if you submit less that 50 claims per month you are eligible for discounted pricing. Are you a physician provider? 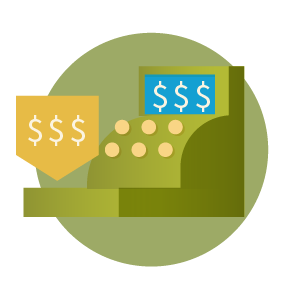 Click here to learn more about Kareo Physician pricing. If you are a physician provider, your first Kareo module is $300/mo and you can add additional modules for $150. This means that you can have Kareo Clinical and Kareo Billing for only $450/mo. Or, you can purchase the entire Kareo Platform (Clinical, Engage and Billing) for only $600/mo. Low volume options are also available, if you submit less than 50 claims per month you are eligible for a 50% discount on the above pricing. Physical therapists should focus on the wellness of their patients and providing excellent care—not sweating over claims and patient statements. If you run a large therapy practice or are looking to outsource your billing click the button below to contact a solution consultant. 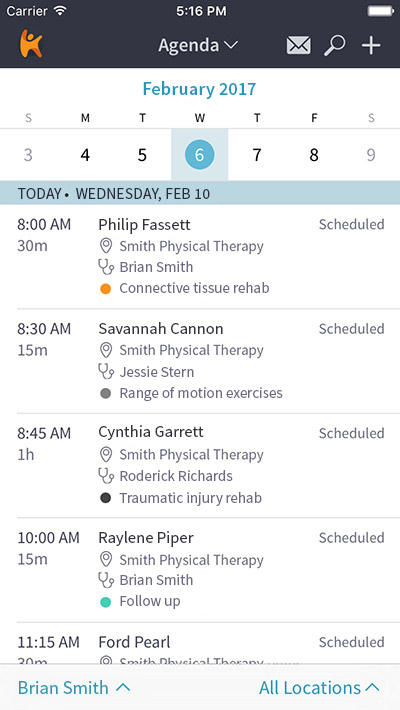 Below you will be able to browse through a collection of resources that have been created by industry experts specifically for physical therapy practices like yours. Here's how to get clean claims for physical therapy. Choice Physical Therapy of St. Albans is improving medical billing workflow with Kareo. "As a billing specialist this was by far the easiest system to use and understand. The team at Kareo support have made this new experience easy and enjoyable with their enthusiasm to help and the ..."
Barker Physical Therapy Clinic, S.C.
"I have been in the medical field for 25+ years and have used numerous billing and EHR software. 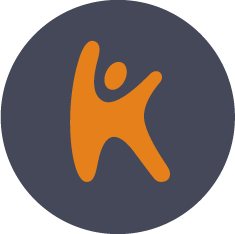 In fact I was on the onboarding team for another billing service/software company, and although I ..."
"Kareo has made our office run much more efficient. We have a much better work flow. 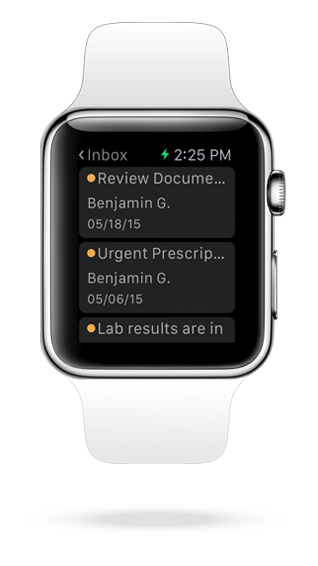 Everything can be done with so much ease from adding new patients to billing and notes. We really like Kareo in our ..."
"It is just more user friendly than what we had before. The A/R reports are much more organized and easier to use. I can have multiple reports open and toggle between them if I need to, which I ..."
"I just started working here full time in January and took over billing/office manager about a month ago. 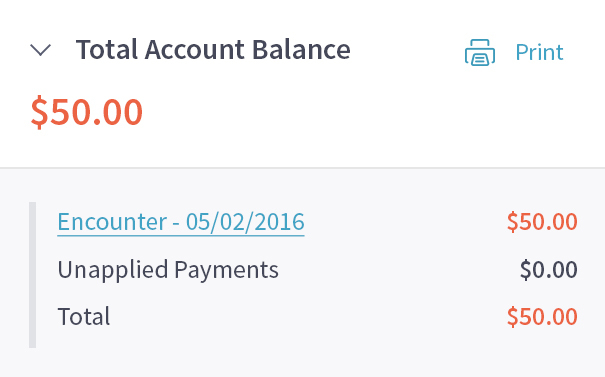 First time ever doing anything like this at all with the constant help of the owner Hunter ..."
"When I started using the Kareo billing software, I had very little billing experience. Honestly, without the understanding and exceptional patience from the ladies in the phone support center, I ..."
"Support is always awesome. Billing Service has been great! I would not be able to do this without all of Kareo Support." "Kareo replaced another system we had been using. What could have been an overwhelming experience was actually a seamless transition with excellent customer service providing guidance each step of ..."
"We brought our billing in house and it was by far the best decision we have made for the practice. Introducing Kareo into the practice was a seamless transition, we never had a delay in claims and ..."
"As an Office Administrator for a Physical Therapy company I have been very pleased with the software that Kareo has to offer. 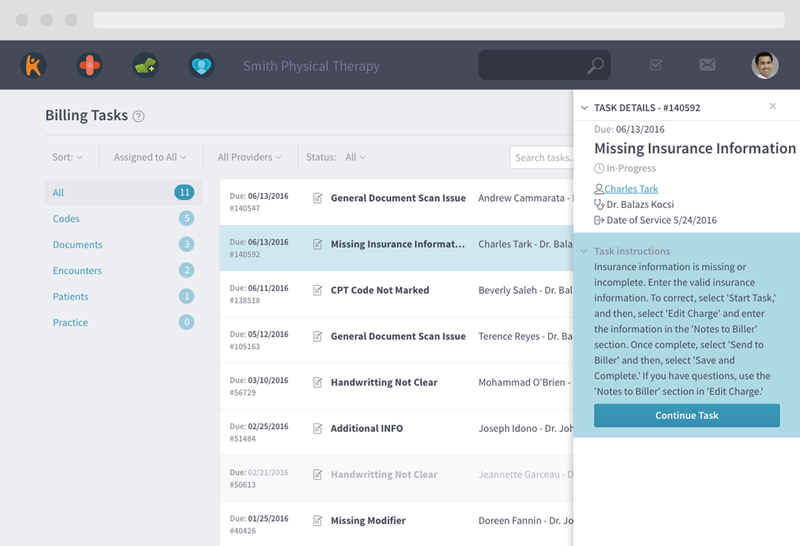 I've used other softwares before and this one has lots of amenities that ..."
"Although it has been three+ years since we began using KAREO, I continue to learn about more capabilities that the system has in helping our practice manage billing and collections of our claims. 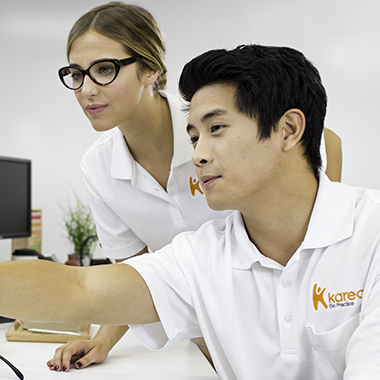 ..."
"Our office loves Kareo. User friendly, fast and efficient. Our company has made leaps and bounds of progress and have been able to maintain our A/R with ease. I would and have encouraged others to ..."
"I have worked with the Kareo application for nearly 18 months. I find their software reliable and very intuitive in its use. 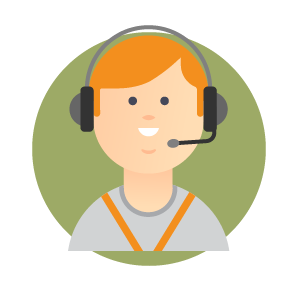 The support staff have always been more than helpful and in most cases my ..."
"We were in need of a software change and wanted to keep our billing in-house. 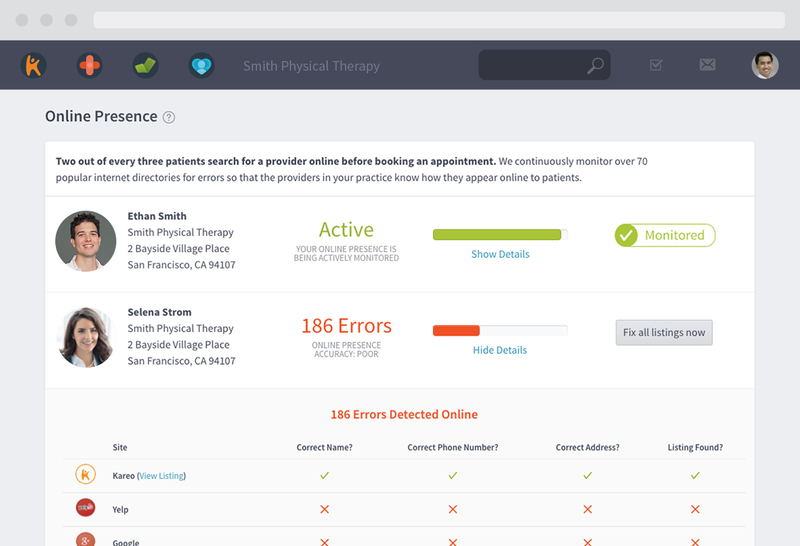 Kareo was recommended to us by WebPT during our transition to EHR. We have found Kareo's support to be excellent! Fast, ..."
"We have been using Kareo for a few years and I find that the program is straight forward and user friendly. 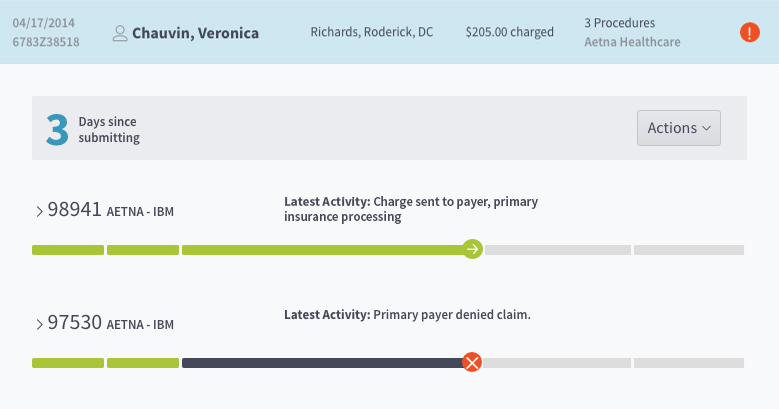 As a small practice, billing both commerical and medicare claims, it is easy to use and ..."
"To start with it was a wonderful experience from day one of purchasing Kareo for medical billing. The training sessions, then the training coordinators, everything went through very smoothly. 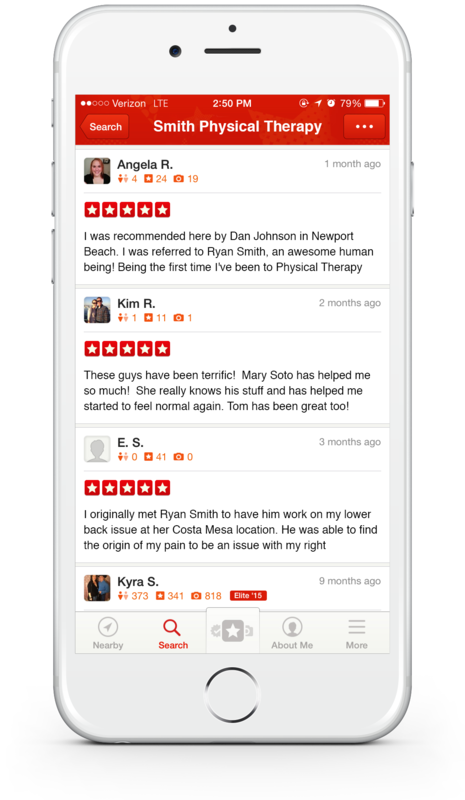 And ..."
"I began using Kareo in my physical therapy private practice in 2012 and referred my sister who is a physical therapy / speech therapy private practice owner. Kareo is a very easy and efficient tool ..."
"I have been with Kareo since April and have been SO VERY HAPPY! Every time I have need assistance with anything I get the help I need in no time at all. The entire tech help are so very wonderful. ..."
"Every time I have contacted Kareo for assistance, anyone I speak with is very knowledgeable and helpful. They are always very kind. If someone I speak to can not answer they will find someone that ..."
"Kareo has transformed our PT practice. I joined the office 9 months ago. At that time, the office was was still utiliting statments cards, superbills and typing claim forms. The transition from ..."
"We started our business in December 2013. We tried to work with companies that shared our same vision and philosophies. In all honestly, because we were all very new to the idea of owning our own ..."
"We have recently started using kareo for our billing and we have been 100% satisified with the software and most of all the customer service team. If called upon as a reference for kareo we would ..."
"Kareo was very helpful in our ICD-10 transition. They provided us with our own transition coach to work with us directly to make sure there were no issues. They made what was supposed to have been ..."
"I haven't found a practice management program that works as seamlessly as"
"We have been using Kareo PM now for 1 year and almost 4 months. I LOVE it! It is very user friendly. FAQ's are easy to access if I need a question answered, if I can't find the answer there, I ..."
"I have used a few billing software programs over the years and always felt there has to be a better program out there. Kareo has put great effort into making both the EHR and PM products very user ..."
"I started with the company 5 years ago. 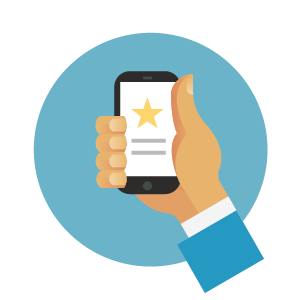 They were working on a different system that was hard to learn, when there was an issue you would have to leave a message and they would get back to you maybe ..."
"I love the ease of using Kareo for my billing needs. The system is easy to use which makes my day smoother. It takes only seconds for the AR report to run and once open you can access everything ..."
"Kareo has made our practice much more efficient and has allowed myself more time to concentrate on other practice management tasks as the ease of flow from WEBPT (EHR) TO Kareo enable me to ..."
In Kareo, therapists can easily track the patient's visit count to know when to report FLR data. 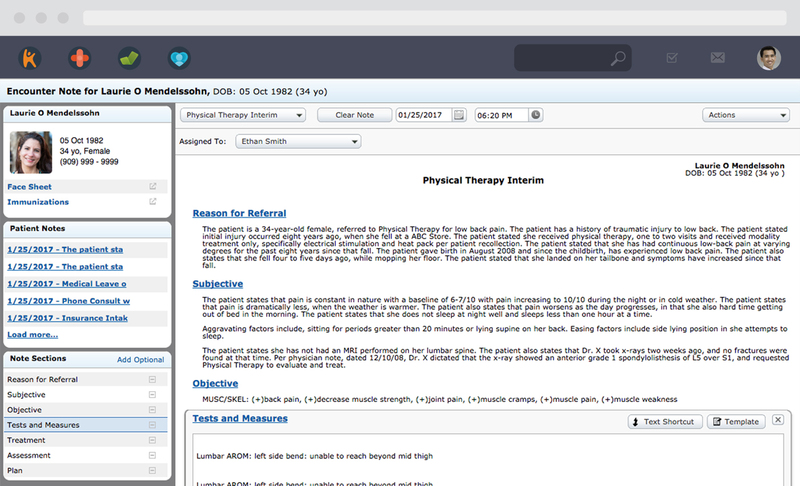 Therapists can easily pick from a list of their favorite G-codes, severity modifiers, and therapy modifiers into Kareo Clinical's Superbill. Therapists can even copy forward G-codes and modifiers from previous visits to the current visit's Superbill. As of July 1, 2013, CMS requires physical therapists (PTs), occupational therapists (OTs) and speech-language pathologists (SLPs) to complete functional limitation reporting (FLR) on all Medicare Part B patients. CMS automatically will deny claims lacking FLR data. 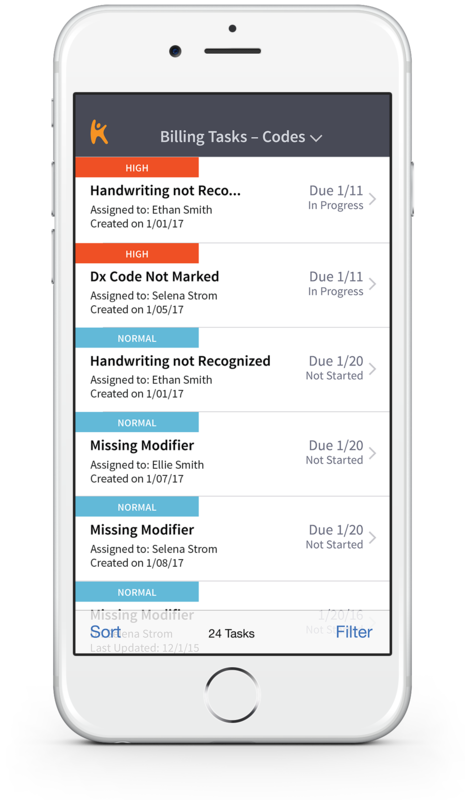 In Kareo, therapists can easily pick from a list of their favorite G-codes, severity modifiers, and therapy modifiers and add them into Kareo Clinical's Superbill. 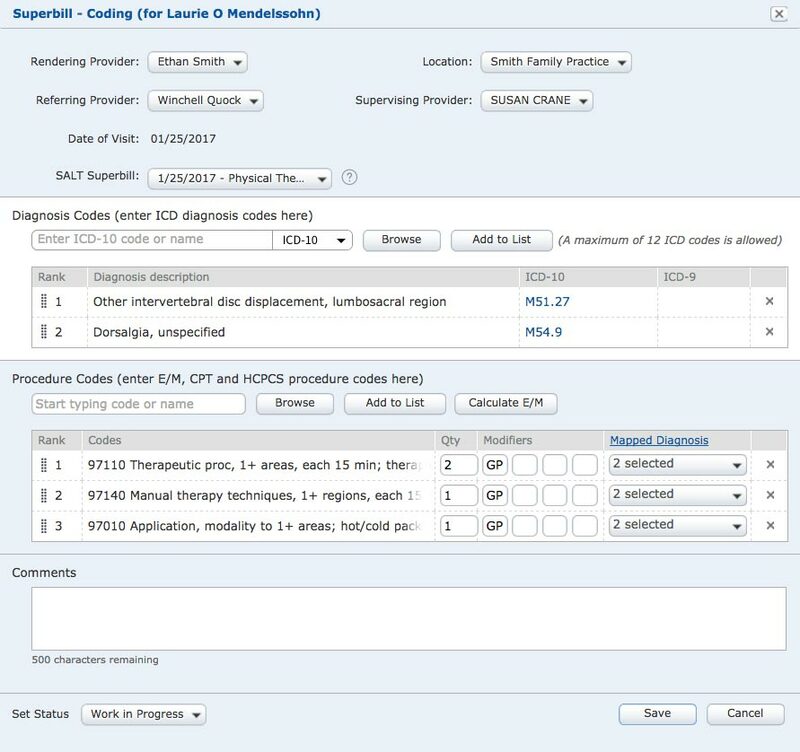 Therapists can also save time by copying G-codes and modifiers from previous visits to the current visit's Superbill using Kareo’s SLAT (same as last time) functionality. MACRA is the Medicare Access and CHIP Reauthorization Act, which is legislation that replaced the Sustainable Growth Rate (SGR). It outlines a new program for physician reimbursement that replaces fee-for-service with value-based payments under the Quality Payment Program (QPP). For the 2017 and 2018 reporting years, PT/OT/SLP providers are not considered eligible clinicians under MACRA, but they may be added in 2019. View Kareo's MACRA resource center to lean more. Starting January 1, 2017, PQRS has been rolled into the Merit-Based Incentive Payment System (MIPS) track of MACRA's Quality Payment Program (QPP). For the 2017 and 2018 reporting years, PT/OT/SLP providers are not considered eligible clinicians under MACRA, but they may be added in 2019. View Kareo's MACRA resource center to learn more. 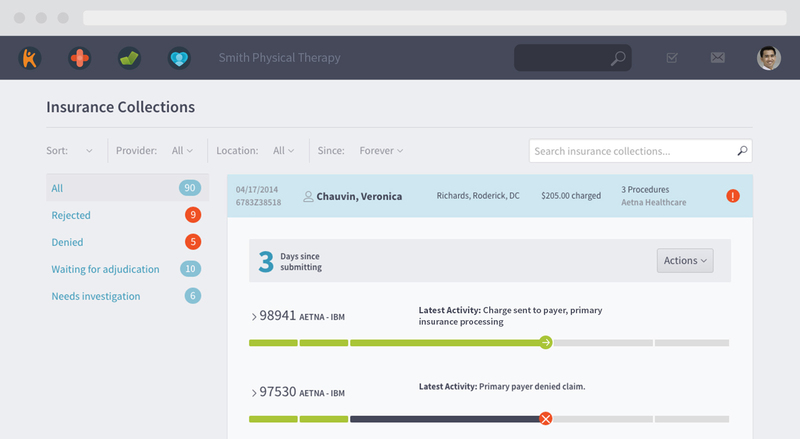 Kareo retrieves the Therapy Amount Used per patient from the Eligibility Report returned from Medicare, which is displayed during scheduling and patient check-in. The user can re-run the eligibility check to receive the latest Therapy Amount Used for the patient and manually apply the KX modifier to charges to justify exception to the therapy cap. The limit on incurred expenses (therapy cap) is $1,940 for physical therapy (PT) and speech-language pathology services (SLP) combined and $1,940 for occupational therapy (OT) services. If the therapist believes that continuing therapy with a patient is medically necessary—thus qualifying the patient for an exception to the cap—all the provider has to do is attach the KX Modifier (or Modifier KX) and clearly document reasons for continuing treatment. When patients reach the $3700 Manual Medical Review threshold, they may be subject to a targeted review process. G-codes are quality data codes that rehab therapy providers—including eligible physical therapists, occupational therapists, and speech-language pathologists—include on their Medicare claim forms to fulfill requirements for Physician Quality Reporting System (PQRS) and Functional Limitation Reporting (FLR). 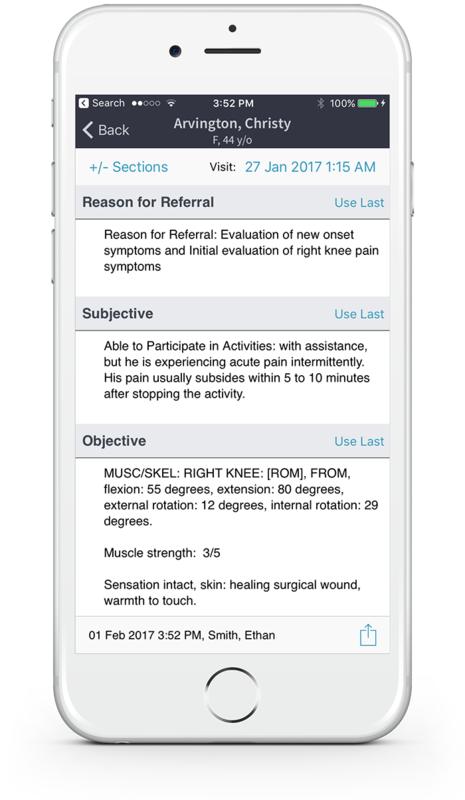 In Kareo, therapists can easily pick from a list of their favorite G-codes, severity modifiers, and therapy modifiers into Kareo Clinical's Superbill. 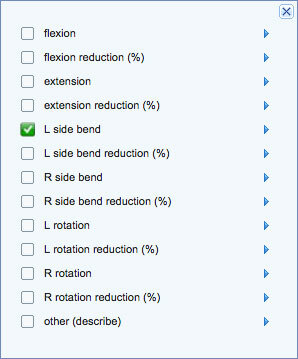 Therapists can even copy forward G-codes and modifiers from previous visits to the current visit's Superbill. If the therapist believe that continuing therapy with a patient is medically necessary—thus qualifying the patient for an exception to the cap—all the provider has to do is attach the KX Modifier (or Modifier KX) and clearly document reasons for continuing treatment. 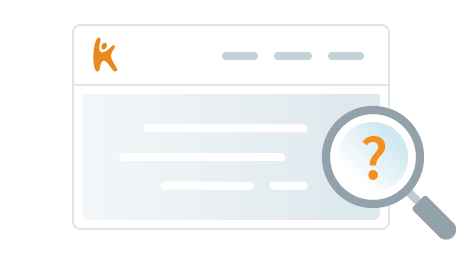 Getting started with Kareo is easy. 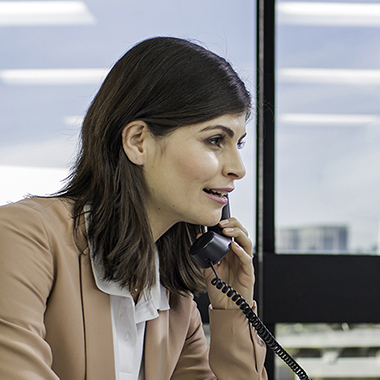 Simply talk to a Kareo Solutions Consultant to see if Kareo is a good fit for you. You can use a single Kareo Module or a combination of Kareo Modules and partner applications. Your solution will be tailored to your therapy practice to make sure that you have everything you need and nothing you don't. 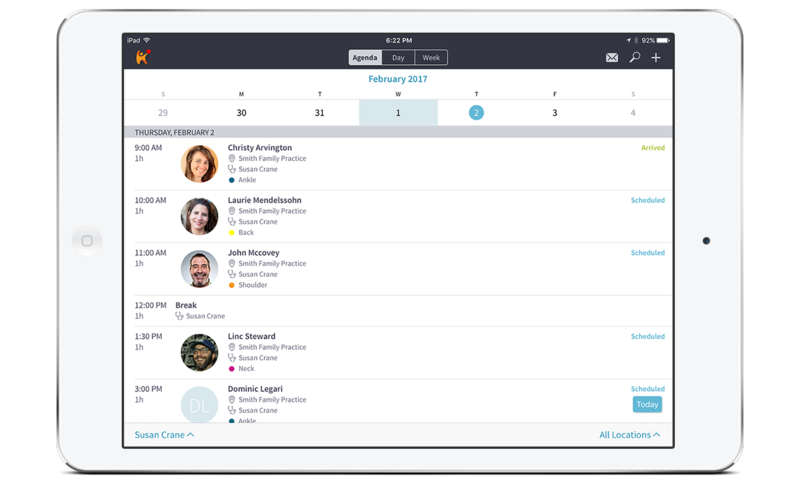 Contact a solution consultant to ask a question or schedule a demo to see what Kareo can do for your practice. Kareo has budget friendly pricing options for therapists. Your first Kareo module is $100/mo and you can add additional modules for $50. This means that you can have Kareo Clinical and Kareo Billing for only $150/mo. Or, you can purchase the entire Kareo Platform (Clinical, Engage and Billing) for only $200/mo. Low volume options are also available, if you submit less that 50 claims per month you are eligible for a 50% discount on the above pricing. If you are a physician provider, your first Kareo module is $300/mo and you can add additional modules for $150. This means that you can have Kareo Clinical and Kareo Billing for only $450/mo. 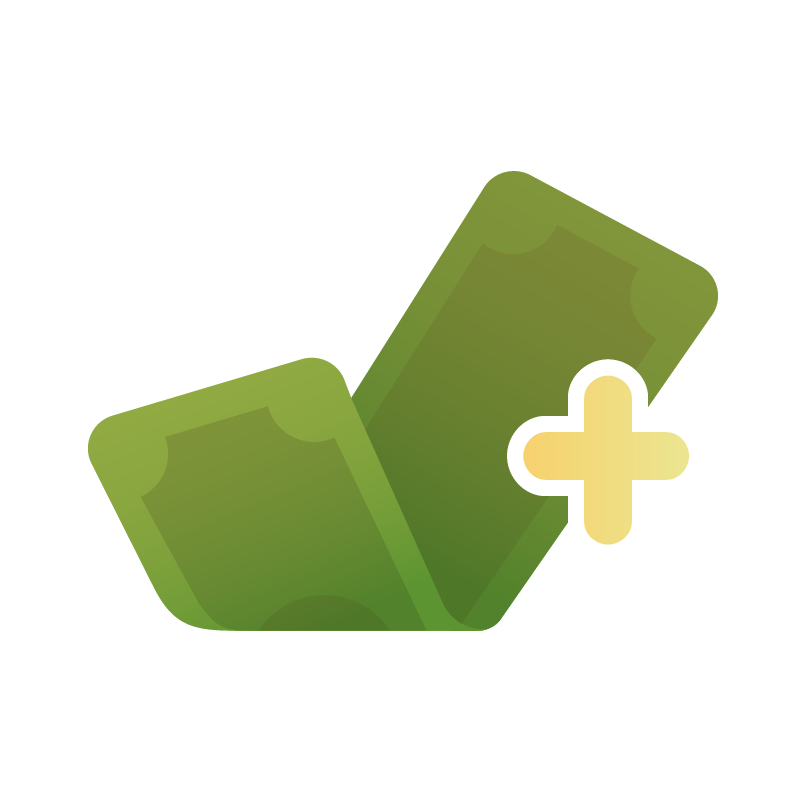 Or, you can purchase the entire Kareo Platform (Clinical, Engage and Billing) for only $600/mo. Low volume options are also available, if you submit less that 50 claims per month you are eligible for a 50% discount on the above pricing. 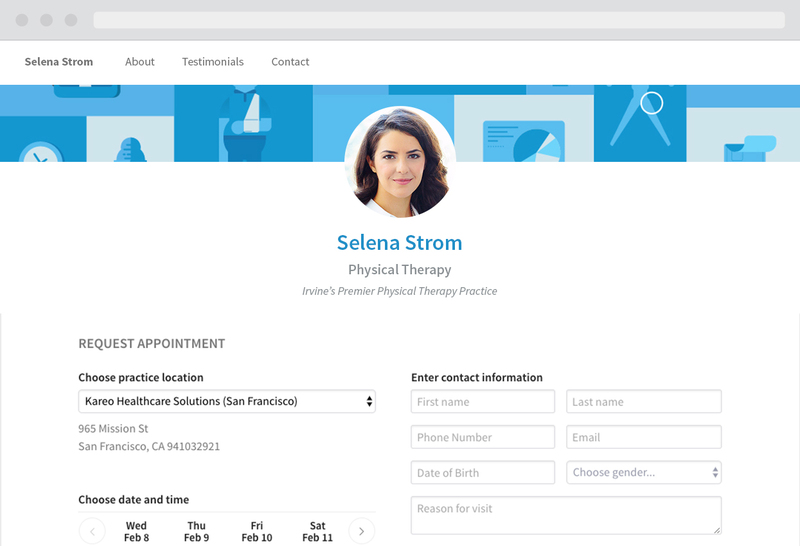 If you run a large therapy practice or are looking to outsource your billing please contact a solutions provider (contact form) to create a custom solution for your practice. Yes, Kareo has a robust application interface that enables dozens software partners to integrate with The Kareo platform. 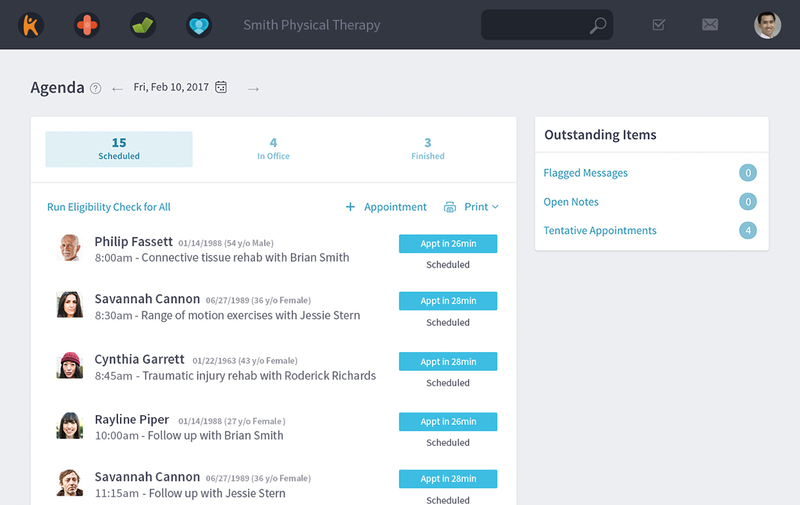 One of the top integrations used by PT, OT and SLP providers is our integration with WebPT. 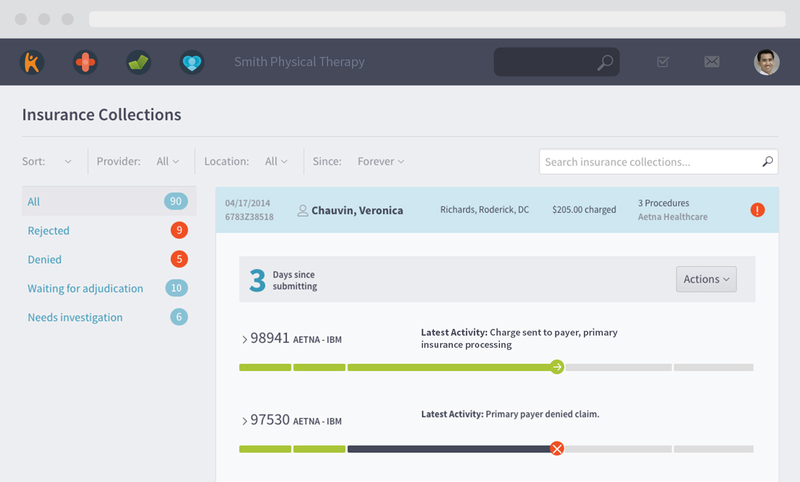 Kareo Billing, Kareo Engage and Kareo Managed Billing integrate seamlessly with the WebPT EMR. To learn more about this integration please visit our WebPT integration page . Are Physical Therapists, Occupational Therapists, and Speach Language Pathologists eligible clinicians for MACRA? PT/OT/SLP providers are not currently considered eligible clinicians for MACRA, but they may be added in 2019. We recommend that you familiarize yourself with MACRA, MIPS and QPP to say ahead of current complinace iniatives. Should PT/OT/SLP providers become MACRA eligible Kareo is here to support you. View Kareo's MACRA resource center to lean more.